From the armchair, pre-grouping models and R-T-R, is back dating that simple? In a way this post follows on from my previous ramblings in my ‘armchair’ series such as “Armchair R-T-R Designers” and “Armchair R-T-R tooling and manufacturing Logistics” and even my comment piece on “The process in producing an R-T-R Models”. Questions were recently raised on a popular model railway forum why certain Ready-To-Run (R-T-R) models either have not been or are going to be produced in either Pre-Grouping liveries or form, even to extent that the manufacturers were losing sales because of it. I would point out however that if the demand was not actually there to sell a complete batch, as minimum production run sizes often come into play, of a certain livery then it might be a case of not enough sales rather than one of loosing sales. I picked up on this because the models in question being discussed were the recently released Adams O2 class 0-4-4t and the forthcoming Pull Push Gate Stock from The Kernow Model Centre, that were not being produced in London South Western Railway (LSWR) liveries. The particular post also cited the fact some manufacturers had already managed to issued Pre-Grouping livery versions such as: the Bachmann E4 Class 0-6-2t and C Class 0-6-0; and the Hornby M7 0-4-4t. Whilst other models including the Hornby 700 Class 0-6-0 and T9 class 4-4-0 and the aforementioned O2 have not yet been so issued. In an ideal world if money was no object I am sure the likes of The Kernow Model Centre and even the larger manufacturers such as Hornby would love to tool for all permutations and variations of a particular prototype, but economics do rule and decisions have to be taken based on the size of a potential market for a specific variation / livery and the return possible. Where the existing tooling is correct / accurate for the same locomotive / rolling with either no or very limited detail changes for an earlier period such as the Pre-Grouping era, or even early Grouping times, then producing such liveries, in perhaps a smaller production run becomes a viable option. However where there would need to be substantial tooling changes, complexities or even completely new tooling the return on such an expense, that can easily run into tens of thousands of pounds, against potential sales needs to be taken into account. I would therefore not perhaps rule out an LSWR liveried Adams O2 at some stage, as this importantly could be achieved from the existing tooling. With respect to the Kennow Model Centre ex LSWR Gate Stock these were modified in the early 1930’s from the original LSWR design and therefore the proposed tooling would not be correct for any liveries before that modification took place. 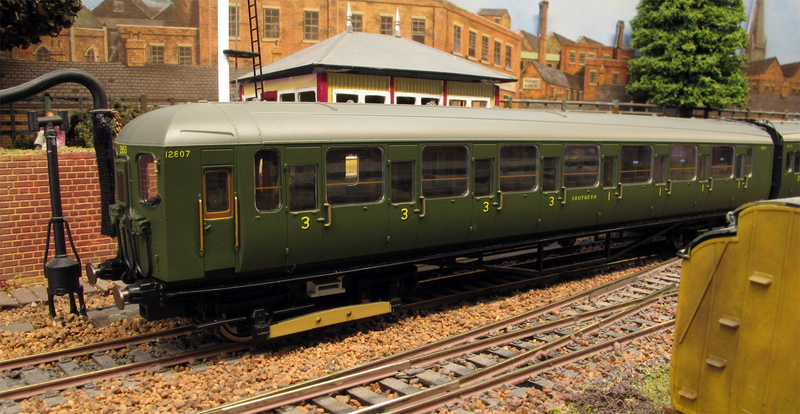 Sets 373/4 were converted to Southern Railway air control system in 1929/30 and at the same time gained the standard Southern Railway four window pull push unit style front end, instead of the earlier LSWR 3 window front end. Set 272 was disbanded in 1929 (prior to driving front end and air control conversion) and reformed as set 363 in 1933, with standard SR front and air control, as per sets 373/4. A version of the Kernow Model Centre ex LSWR Beattie Well Tank was produced in SR Maunsell 1930’s livery No 3329 but as in the early 1930s the Well Tanks were already on their second substantial rebuild, completely new tooling would have been required to be correct for any earlier livery application. Both the Hornby produced 700 class 0-6-0 and T9 class 4-4-0 engines were fitted with superheaters from the very end of the pre-Grouping period onwards that not only extended the smokeboxes but in the case of the 700 class also raised the pitch of the boilers, by some 9 inches, extended the frames and a new taller cab, and in such a case would not only require a totally new body tooling but would effect the chassis design as well, which even with the high pitched boiler of the superheated version produced is already very tight for space for the motor a gearbox etc. I do note however that that there would be possibly 4 or 5 members of each class that could legitimately be produced in late LSWR livery in the superheated form from the existing tooling, if Hornby felt the the market was there for them. I hope this post goes a little way to further explain the issues and complexities of producing Ready To Run models and that sometimes it is neither practical or cost effective to be able to please all modellers all of the time. I am pretty sure that none of us want to return to the days of putting any livery on any model regardless of any historical accuracy! This weekend sees a number of events taking place to commemorate the 75th anniversary of the evacuation of Allied soldiers from the beaches and harbour of Dunkirk, France, between 27 May and 4 June 1940. The Dunkirk evacuation, code named Operation Dynamo, was decided upon when large numbers of British, French, and Belgian troops were cut off and surrounded by the German army. The event is renown for the use of a flotilla of 800 small ships used to assist in the ferrying of some 338,226 soldiers to safety. The Southern Railway played very much an unsung role in Operation Dynamo, as once back on English shores the soldiers that did not require immediate hospitalisation or were already based at local South Eastern England barracks were dispersed across England away from the main reception ports of Margate, Ramsgate, Folkestone, Dover, and Newhaven. During the nine period of Operation Dynamo the Southern Railway laid on and coordinated an amazing number of special trains comprising of : 327 from Dover, 82 from Ramsgate, 75 from Margate 64 from Folkestone and also 21 ambulance trains. These trains, known as ‘Dynamo Specials’ moved 180,982 troops, many of these services were routed via Redhill, Guildford and Reading, in order to bypass the capital and avoid congestion. Where possible during this period the Southern Railway maintained its usual passenger services with the except of some ‘omnibus replacement services’ to free the most heavily utilised routes between Guildford, Redhill and Tonbridge. Not only was coordination required of the departing trains but also the routing of the return empty stock workings and the necessary prepared engines required to keep the transportation of soldiers as quick and efficient as possible. 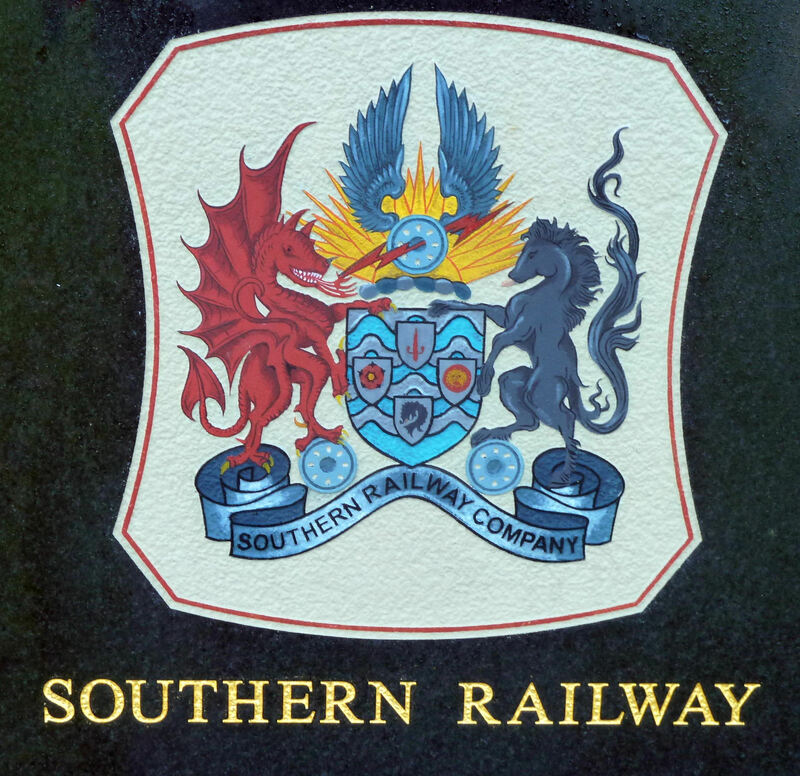 The Southern Railway mustered at very short notice nearly 2000 additional carriages, many borrowed from other railway companies including 47 complete rakes from the LNER, 44 from the LMS and 40 from the GWR. Also 180 engines and crews were required from across the network, to operate these services. To avoid delay at Dover and Ramsgate it was decided that the soldiers, many of whom had not eaten properly for days, would be fed on the trains. Just simply feeding the men provided Southern Railway with a major logistical problem, therefore certain rail stations were designated feeding stations. These stations included Headcorn, Tonbridge and Paddock Wood Although the Royal Army Service Corps were primarily responsible many local Women’s Voluntary Service members were involved to provide food and drink, much of which was also donated or paid for with monies rasied from the local communities. Due to the number of trains involved only an eight-minute stop for soldiers to be provide with food and drink that bearing in mind this could have been 550 per train, was again an impressive feat. Trains often had to pull into a siding at these food stops to ensure that any ambulance trains had priority over the use of the main lines. The Southern Railway, as well as coping with troops from Dunkirk, was also evacuating no less than 48,000 school children from the coastal areas due to fear of a German invasion. It should not go unmentioned that a number of the Southern Railway’s shipping fleet and crew, varying from cross channel passenger vessels, Isle of Wight ferries and cargo vessels were actively involved out on the channel itself, with a number being either badly damaged or lost to enemy action. We should also pause to remember the 68,000 of our soldiers whom didn’t make it home safely from this particular French campaign. The efforts of the Southern Railway has not gone unnoticed by Hornby who are planning to release this year their R3302 ‘1940 return from Dunkirk’ train pack; comprising of a ex LSWR Drummond 700 class No. 325 and 3 coach Maunsell low window set No. 447. Unfortunately it does not look like it they have managed to release it to specifically coincide with the actual commemoration weekend but at least the intent is there. I hope this post goes just a little way to remember and honour the part that the Southern Railway played in the overall success of Operation Dynamo out of what was a defeat in military terms in Flanders. 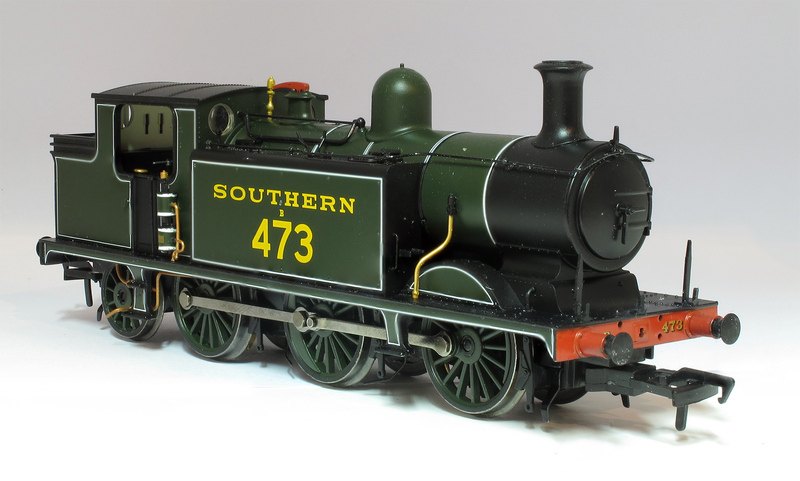 Last weekend saw the annual Warley National Model railway Exhibition at the NEC, this post rounds up the news from a Southern / BR(s) perspective. As duplication seems to be the order of the day I have also duplicated part of the post title from one I have used before. It is usual for some manufacturers to use the event to make announcements of new items or showcase updates to new products under development. This year was no exception although Hornby make the unusual step of announcing part of their intended plans for 2015 at the show. Many thanks to those of you who read this blog for popping by the Shortley Bridge and Felton Cement Works layout on the Hornby Magazine stand, where I was playing trains all weekend, and saying hello it was good to see you. In making the unusual step of a pre-announcement announcement of their 2015 range Hornby are going head to head with two previously announced SR / BR(s) models from other manufacturers. 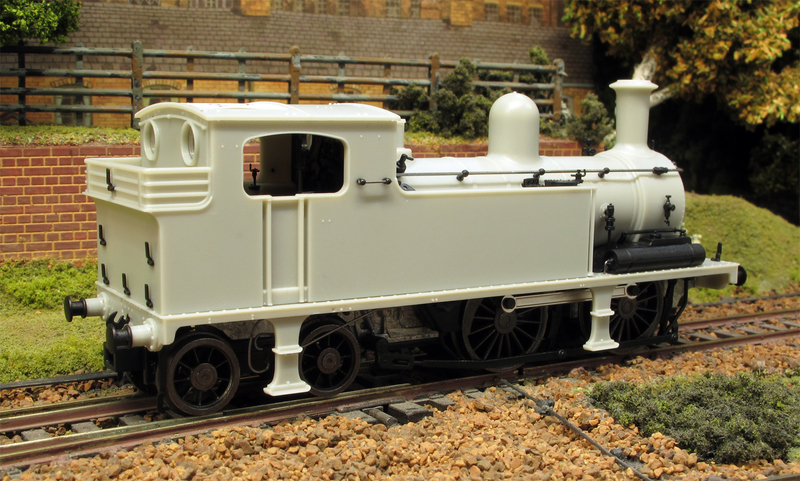 This is likely to be due to the fact that they have been working on the development of these models for some time now, Simon Kohler discusses such duplication in his interesting blog on the Hornby website here (posted just before the Warley show). Some people may ask why manufacturers can not simply talk to each other to avoid such duplication but this of course would fall foul of anti competition laws. 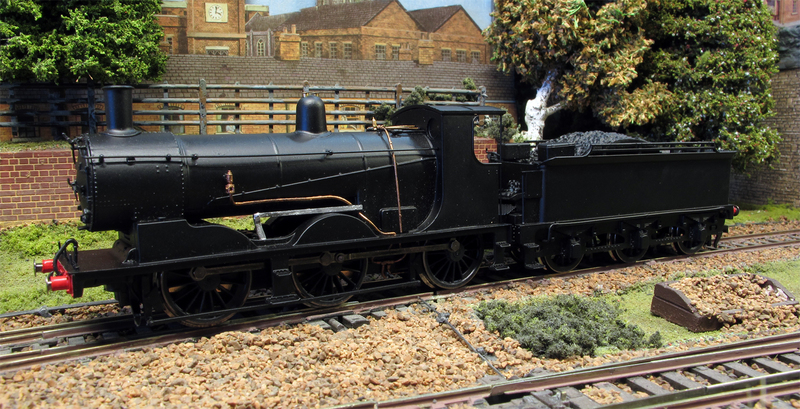 First up is the ex LSWR Adams Radial 4-4-2T, that was announced earlier this moth by Oxford Rail. Hornby had an Engineering Prototype on display they also had on display extracts from CAD drawings that show their intent to produce variations of Chimney and Boilers (Adams vrs Drummond) and also frame lengths, images of these can be found on the Hornby website here along with details of other non SR related items. Hornby advise that this model should be available late 2015. This particular prototype has finished high in recent wish list polls, hence the interest. I was also assisting another potential manufacturer of this model but this has now been sensibly replaced with another model instead, albeit non SR related, once the intent of the other parties was discovered. 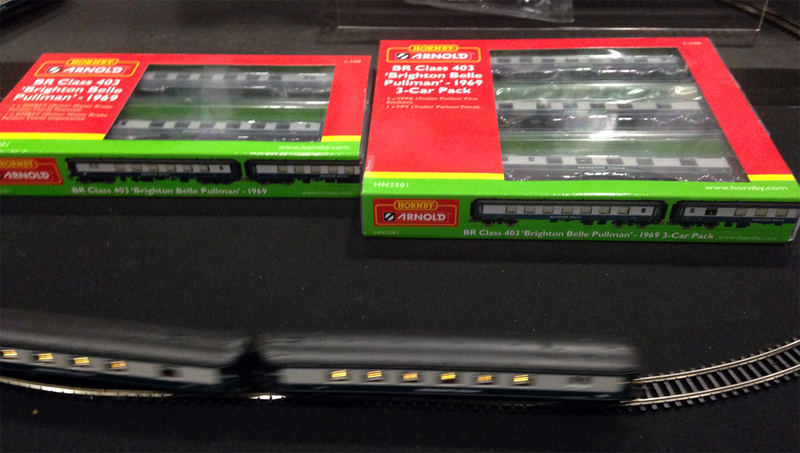 Secondly they also announced a BR(S) Class 71 3rd rail electric locomotive for delivery in 2016. This model has been previously announced by DJModels back in July using a kickstarter campaign hosted via the Kernow Model Railway Centre. only last week they confirmed that the required number of orders had been reached to allow the production of the model to go ahead. In addition to the above announcements that also had livery samples of the ex LSWR Drummond 700 Class 0-6-0’s on display. Hornby will be announcing the full details of their 2015 range on the 17th December and I will bring you a round up all the specific SR and BR(s) information to you at the same time, having been briefed along with the rest of the model railway media at Margate a week before. On the Bachmann stand were livery samples of their ex LBSC E4 on display in both Maunsell Pre 1931 lined olive green and also BR black versions. The exhibition also saw for the first time the, only just arrived, Engineering Prototype of the Southern Passenger Luggage vans PLV/PMV’s. I am now also able to confirm that only one tooling [*update 28/11/14 below] for these vans is being introduced to despite their catalogue and website that mixing the terms PLV/PMV and CCT they are not producing a Southern Van U (BR designation CCT) with the end opening doors. Further information about these vans and the various can be found on my Talking Stock #6 post SR Luggage Vans which is based on the kits that this RTR version will now also kind of duplicate. No new SR related news to be had as they were showing the same first off Engineering samples of the N class and original style third series Merchant Navy Bulleid pacific that we have seen before, this does not of course mean that no further progress has been made behind the scenes. 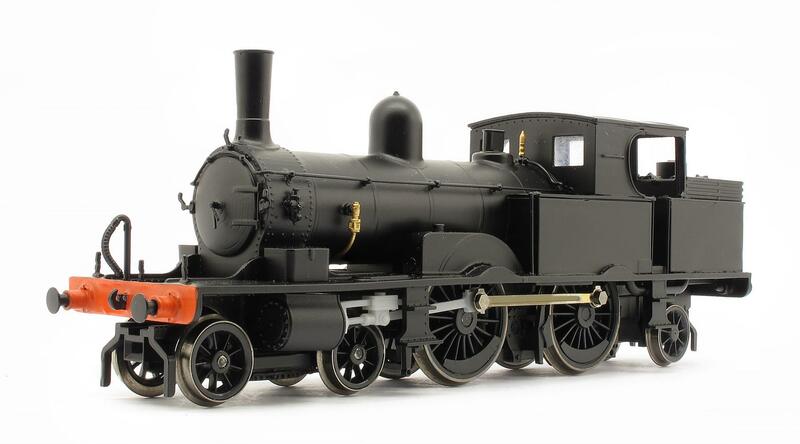 Model Rail Magazine announced a further two livery versions of their USTC/SR USA 0-6-0T model commissioned via Bachmann, in the form of: MR105 N0. 300 ‘Major-General Frank S. Ross’ in Longmoor Military Railway blue and MR106 No. DS233 in department black with post 1956 BR emblem, these and the previously announced models can be pre-ordered here although Model Rail advise that If you want a ‘USA tank’ you need to be quick placing your pre-order as one livery has already sold out and others are nearly all sold. Away from the show I have been privileged to have assisted in the reviewing of the CADs for these models and they are now very close to going for tooling. In N gauge, livery samples of their Maunsell coaches in SR Olive Green along with the Van C.
In 4mm scale they had the latest Engineering prototypes of both versions of the Class 73 Electro Diesel (73/0 – JA and 73/1 – JB). It appears that the 73/0 variant might be available first, even though to date they have only announced 73/1 versions! 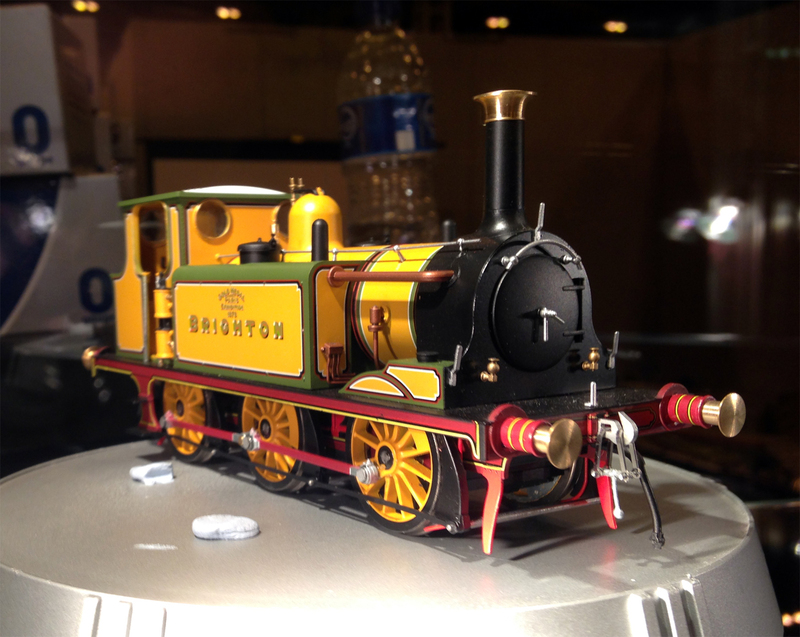 For 0 Gauge modellers the first liveried sample of the Terrier was on display in Brighton livery. On their stand in addition to livery samples of the 05 Class diesel shunter (one of the prototypes of course was outposted on the Isle of Wight for quite some time) they had the kit of parts that will make up their 009 ready to run Lynton and Barnstaple 2-6-2 Exe, Tor and Yeo locomotives. 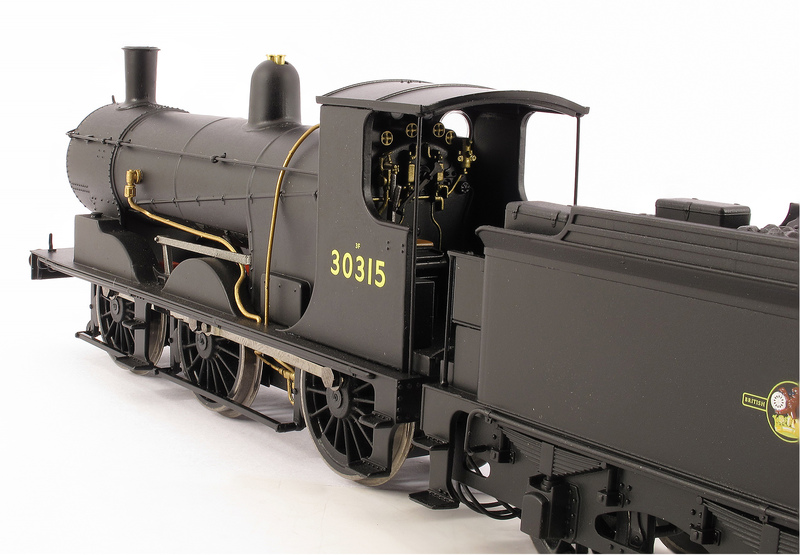 Following the untimely passing of proprietor and friend Geoff Brewin, in September, his family are pleased to announce that the entire extensive range of locomotive chassis, coach kits and detailing items has now been successfully sold to Andrew Hartshorne of Wizard Models (and Model Signal Engineering), welcome news indeed. The transfer is planned to take place over the weekend of the 5th – 7th December inclusive, and Andrew hopes to open for trade of Comet items on Monday December 8th. The first engineering samples of the forthcoming Bachmann Branchline Southern Utility Vans were displayed at the 2014 Warley Show. Two bodies have been tooled for these models which cover the Southern PMV which have one vent at each end (item Nos. 39-525, 39-526 & 39-527); whilst the second tooling portrays a CCT vehicle which has been converted to a PMV, this is evident from the sealed end doors with four vents at each end (item No. 39-528). An image of such a vehicle can be found at http://paulbartlett.zenfolio.com/srcct/h1552e6d6#h1552e6d6. The image used in the 2014 Bachmann Branchline catalogue for item No. 39-528 incorrectly shows a standard PMV. I trust this clarifies the situation. Thanks to Bachmann for the clarification over and above what I was informed by them at Warley. Last weekend I had the privilege to be assisting fellow High Wycombe and District MRS members Alan and Simon Paley with their delightful Pre-Grouping layout Loughborough Road (on which most of the pictures below were taken) at the excellent RMweb live event in Coventry. It was also a chance to catch up with a number of the manufacturers and see their progress on some Southern related models. Firstly further progress is being made with the Kernow Model Centre’s ex LSWR Adams O2 locomotives and I am pleased to advise the second engineering prototypes (EP’s) have now been received. Unlike the first EP’s received that were a bit of a mix of some of the tooling options these samples combine the all the correct tooling options for the each of the seven variants being produced. Also a couple of issues highlighted from the first EP’s have also been corrected. Now that these models are being project managed by Dave Jones of DJ Models the development has moved on a pace and the livery details can now be completed. As I reported here the Kernow Models Gate Stock sets also being managed by DJ Models have recently been signed off for tooling to commence. 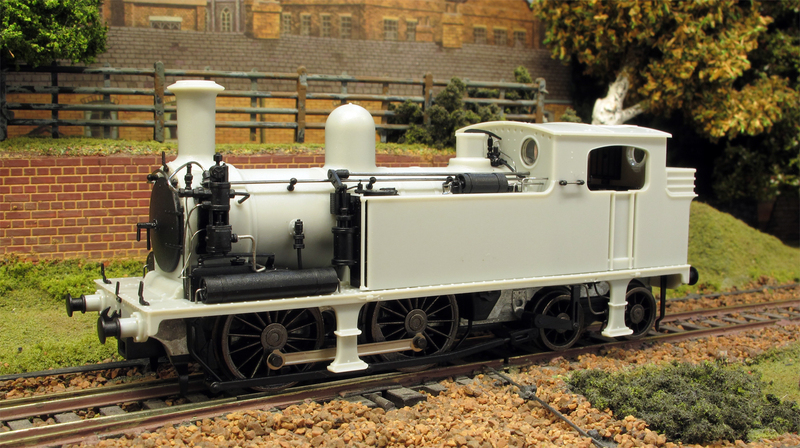 Hornby were represented at the RMweb Live show by Simon Kohler, now working as a consultant to them, and with his kind permission was able to take a close up look at some of their new items either just released or in development. Firstly the Drummond 700 this model was first announced at the end of last year is now also at the 2nd EP stage. They have certainly captured the look the prototype and I am advise they hope to have these in the shops before Christmas. The changes made to the originally announced number and livery versions that I reported here back in January, following my discussion with Hornby, has now been confirmed to all retailers. They will be producing E695 (Maunsell pre-1931 lined black) , 30315 (BR Late Crest) and 30693 (BR Early Crest). The well documented supply chain difficulties experienced by Hornby over the last few years do actually appear to be finally resolved with a flow of new production appearing to arrive, including further batches of the 2 Bil and R3194 Hornby Schools Class 30937 ‘Epsom’. Just starting to hit the shops now is the brand new R3260 2 HAL EMU looking very smart in SR olive green livery, the first of a number of livery variants due, that like the Drummond 700 was first announced at the end of last year. Simon also had on display and running the first production sets of the Hornby/Arnold 5 Bel Brighton Bell sets in the later blue and grey and livery and these should be available during October with the Brown and Umber versions to follow before the end of the year. I was very impressed by the models that also include lit table lamps that appears nice and subtle with now signs of any flicker. The unit running was also very smooth, although I did notice that one compromise that had to be retained was that the solebars do have a couple of cut outs to allow the bogies to swing, however the effect was not as obvious as I first through it would be from the initial EP’s seen. As first announced here these models are only available via www.Hornby.com and orders can now be taken via their website here..